I'm back with another nail school update! 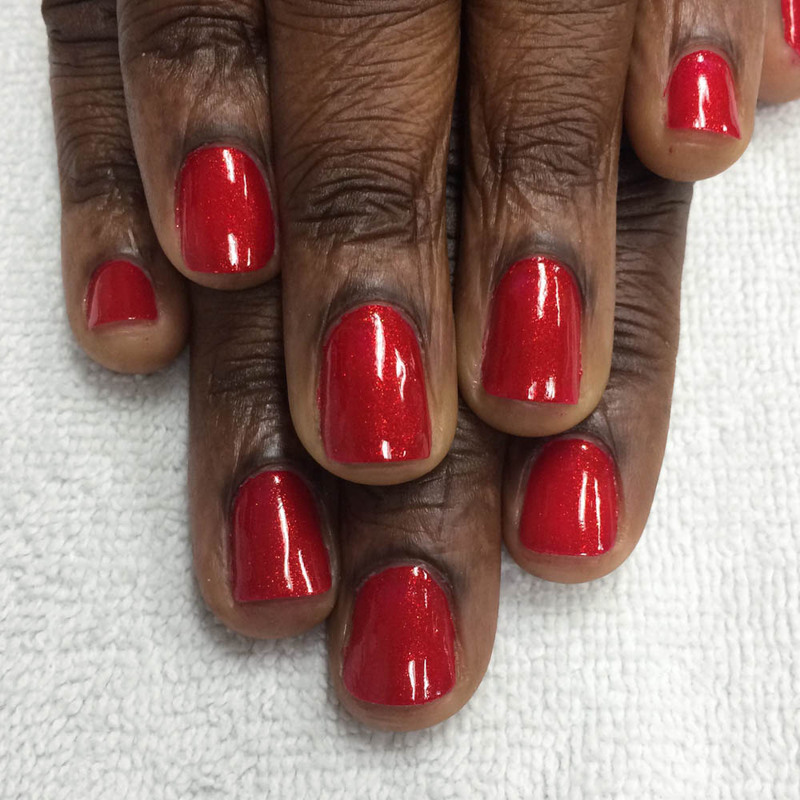 While the first two weeks of nail school covered basic services and upgrades to those services, week three brought some slightly more advanced techniques. It was a whirlwind of demos! I really enjoyed trying out some new nail services that I've never had a chance to work with before. Here's a breakdown of what we learned in week three. Spa pedicure: Like the spa manicure, this is an upgraded version of our basic pedicure. The spa pedi involves an exfoliating scrub, a protective masque, and a thick, hydrating lotion. 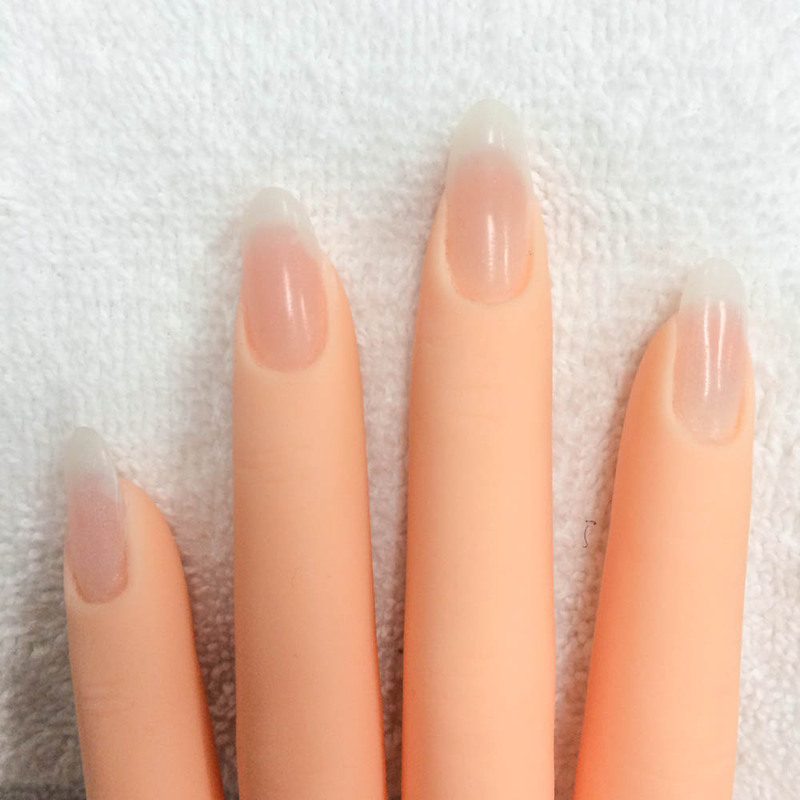 Tip blending: Some of you may be familiar with plastic nail tips -- this week we learned how to attach them to our practice (mannequin) hand using brush on resin adhesive. The tips need to be seamlessly blended to work with the natural nail, so we practiced our application and filing techniques at the area where the tip meets the nail bed. Fiber wraps: If you've ever done a DIY tea bag repair on a broken nail, you've done a basic fiber wrap! This technique involves using resin and fabric (fiberglass or silk in our case) to add strength to the natural nail. This has only recently been removed from the Arizona State Board exams, as apparently they aren't really done in salons much anymore. Still a great technique to have in the arsenal. Gel polish: Gels are my FAVORITE, so I was really excited to get started on them at school. This week, we learned how to properly prep the nail for soak off gel application and how to apply it perfectly. We also watched a demo on how to remove them quickly and efficiently to save time in a salon environment. Nail foils: Yes, this week we got a glimpse at some nail art! Our instructor was able to incorporate some nail foils into her gel polish demo (similar to the style I tried here) so it was a two-for-one. We also began a new chapter in our textbook: chemistry! The chemistry chapter is all about the products that nail techs use and how they react together to form things like acrylic enhancements and gels. Learning the science behind the products allows us to work with them safely without endangering the client or ourselves. Phew! Besides all these new goodies, we also continued to practice the services that we learned in weeks one and two. Our manicure/pedicure evaluation was at the beginning of week four, so we had to get those skills down PAT! Here's another pedi photo you can check out if you're so inclined. This week (week four) we've been out on the client floor. I've got lots to talk about in the next update, so I hope to see you there! I'm living vicariously through these updates - so happy for you! I'm a few months away from completing a 5-year engineering degree, and these posts are making even me question my career path choices, hahah. Following along with your experience is lots of fun, and I'm glad you're enjoying it! Great to hear what nail school is like in America vs ours here in Australia. So far they sound really similar, which is great! I graduated last year. What was the quick gel removal process? Soak off? I love these updates! I'm especially looking forward to hearing more about your education on gels. I'm totally clueless there. Still curious what you're going to name your hand.. I also look forward to these posts and am glad you're fitting in writing about what you're doing in nail school at the same time you're attending nail school...that can't be easy, so thank you! Just a funny: I was reading your post and then looked at the picture with the tips attached. I thought, "Wow, I wonder who the person is she was lucky enough to get to put tips on. Her nails are just lovely, and so well-shaped." It honestly wasn't until I realized the fingers attached to those beautiful nails looked so smooth and wrinkle-free, almost as if her skin was...gosh darn it!! !...that's the fake practice hand! I had JUST read that's what you practiced your tips on but I'm apparently a quick forgetter. For a couple of minutes there, I was quite a fan of how well that lady took care of her skin and nails. Oy! Sounds so exciting learning about all these things. Can't wait for the next update! What do you use to photograph nails, please? I'm loving these updates! So excited to read your posts! Even though I was there (ahem 20 years ago...don't tell anyone), I wish I was there now. Yep, but all of the soak off removals I've done before have been pretty tentative (like, not using a TON of acetone and not breaking the top layer of gel vigorously enough). So it was good to see you can get faster results by being confident and REALLY going for it, but knowing you still won't hurt the client. Haha, too funny! So glad you're enjoying the posts! It's not too bad actually! It's easy to remember things when you can relate them to nails/products you're already familiar with. Check out the FAQ page for all the answers! Of course! 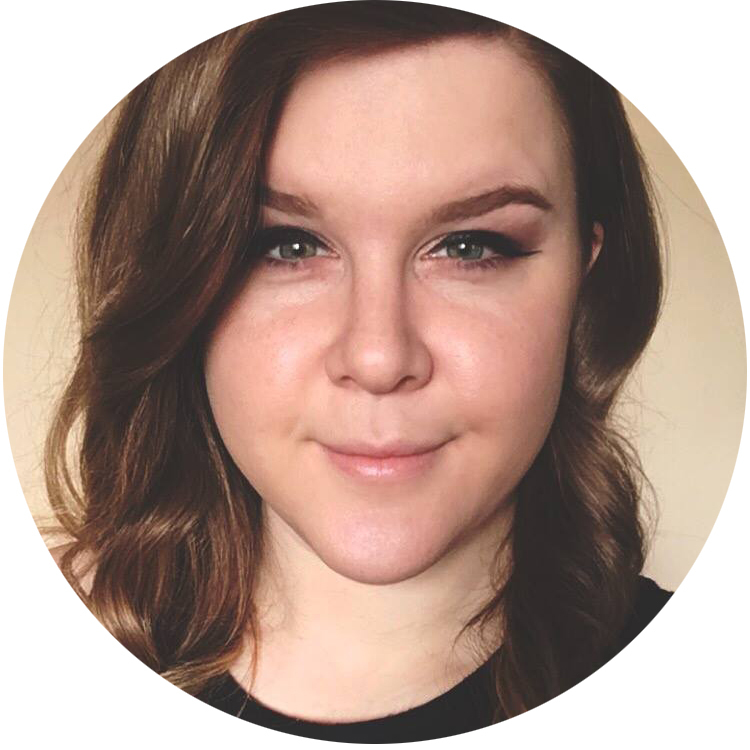 I'm just trying to give people an insider's perspective -- there are a few bloggers that have written about it before, but not many. How fun would that be if we were in class together?? Gosh! I am surprised that they removed fiber wraps. Without using them (in my own self tught way) I would not ever be able to have longer nails! I use silk and resin for mine. Thanks for the FAQ about photographing nails! Much-ly appreciated. Am really enjoying reading your posts about nail school! I have been quite passionate about nails for about 7 years. Have never taken the plunge and gone back to school for retraining. Can do basic and spa manicures/pedicures. Since finding your webpage I have been teaching myself to do nail art. Thanks to your great tutorials. I will definitely look in to going back to school as I want to learn more!! This is so interesting Sarah. Thank you so much for sharing your stories :) Good luck in Nail school!! Last year I decided to put myself though nail school. Unfortunately money was very tight and I had to go to one of the unknown schools in my area. At the time I felt like I learned a lot and I even passed the State Boards but looking at everything your learning has got me questioning if I learned enough. Maybe you could post some videos of you teaching what you learned in school?